Inlays and Onlays are restorations that are used to rebuild a tooth that has lost a significant amount of its structure due to decay or trauma. Similar to dental fillings but rather than being directly placed into your tooth and then set, they are fabricated in our dental laboratory and then cemented into place. This is known as an 'indirect procedure'. 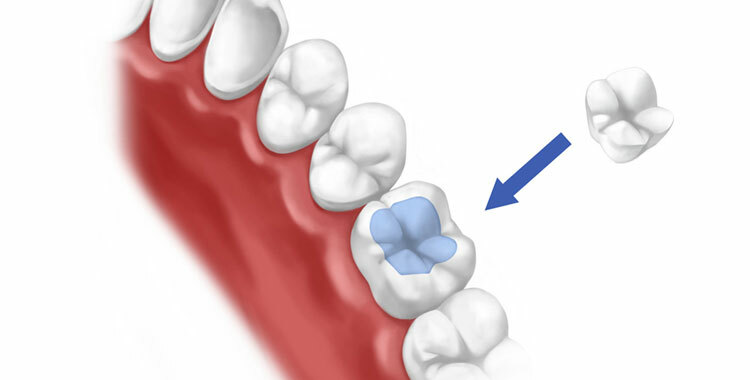 Inlays fit into the tooth whereas onlays sit on top of the remaining tooth structure.